I bought these fantastic Peeps eyeglass cleaners for my entire family as stocking stuffers this Christmas, and of course one for myself! They really work, and are so compact I can carry mine in my purse or a guy could carry it in his pocket. Everyone loves them! Once I figured out how to pull the cover off, I really liked the way it cleaned my glasses. I carry it with me and no longer worry about smudges on my glasses. Great product! PEEPS never leave home without one. Was skeptical of this product at first. However, after using it for over a year it is my must carry everywhere item. Peeps does what it said it would do. I have one at work, in my truck, on my night stand and most of the time in my front pocket. Try one. You woll be surprised. This is the best glass cleaner I have used. No more streaks and it gets them crystal clear. I love clean glasses and this helps me keep them clean. The peeps cleans without streaks. Love it! These work great. I only wonder if I need to replace the pads. 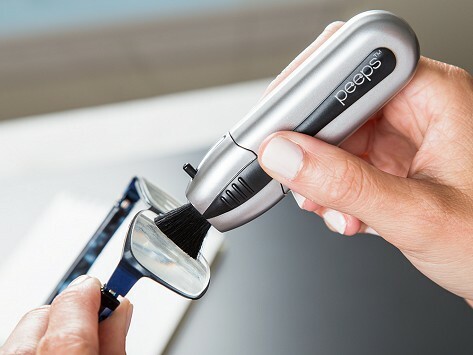 These are the best eyeglass cleaner, ever! I have been using these for a while. They work so much better than any other kind of eyeglass cleaner I've tried, and they do not scratch the lens.